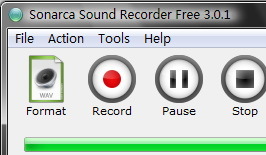 The last but not the least, this Sound Recorder is Windows Vista compatible and works with Windows 7 (64-bit and 32-bit). Recent Changes: Fixed some compatible issues with Windows 10 and 8.1.Ended support for Windows Vista and XP.Some code tweaks to reduce the possibility of sound dropouts and buffer overrun under extremely CPU-intensive circumstances. A new neater, more intuitive, easy-to-navigate UI for convenient sound recording.